Fig. 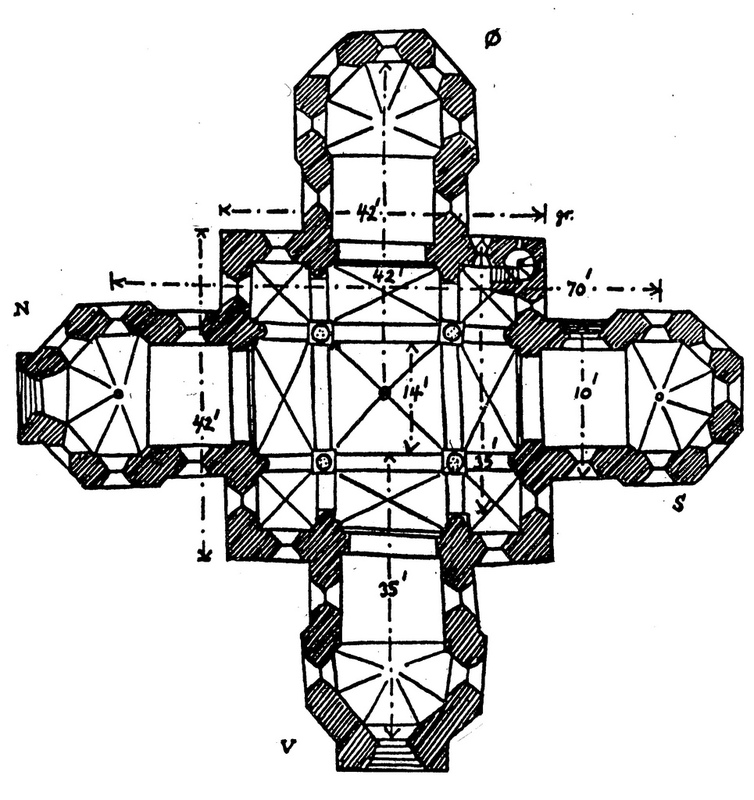 1 – The ground plan of the Liebfrauenkirche in Kalundborg (Denmark) indicate a preference for the four-fold. The church was built in the ‘Vierstützenbau’ around 1170.